Scorpions are skillful predators that can also be captured by other natural enemies, but this is not an easy task. These arachnids have defense mechanisms that do not facilitate their killing and, in turn, threaten the life of their enemy. The whole body of scorpions is a natural armor that protects them from the many dangers that threaten them. They have a chitinous exoskeleton, made of thick layers, which blocks stings and bites, as long as it is a creature of similar characteristics to them. This natural armor also has small hairs, which, while not exactly defense mechanisms, are an alarm that warns them of the danger that is approaching. With these hairs, they can feel the vibrations on the floor, which gives them some advantage either to hide or to prepare. If we divide their body into parts, both the prosoma (cephalothorax) and the mesosome (abdomen), have organs designed for their protection. The chelicera (mouth) and the pedipalps (claws) which have the form of pincers have a function similar to our hands, manipulate objects, but they also have the power to crush enemies or prey. They have a chitinous exoskeleton which blocks stings and bites. The pedipalps are an important part of their defense, they use them to fight and hold key body parts of their enemies to immobilizing them, and if possible, crush them, depending on the type of animal it is, although small or thin insects do not imply danger to a scorpion. Sometimes using their pedipalps is enough to deter an attacker, but other times it is not that easy. They require the support of something else to win: the metasoma. The metasoma is the tail, an elongated structure that has a stinger which releases a dangerous venom. This venom is a neurotoxic substance that does not have the same level of toxicity in all the species nor the same effects. Sometimes they just do all the movements that usually do to inject the venom, but at the end, they do not discharge it. However, this action makes the opponent flee. In the animal kingdom, some creatures have intense colors that warn predators to avoid approaching them, something that has been called aposematism. Something similar is the “deimatic behavior,” where some animals show patterns of threatening behavior when they feel in danger, and employ them to frighten away, distract or liberate momentarily from predators. Both terms have a close relationship with scorpions. Regarding aposematism, there are some species of scorpions with colors that frighten those who are attracted to eat them. Most of the times, the bright colors, that is to say, shades of red, yellow or orange, have a special meaning within the Animal Kingdom that means “go away.” This coloration matches completely with the yellow and red scorpions, which are some of the most dangerous animals on Earth, unlike the dark ones that have a lower level of toxicity. About deimatic demonstrations, scorpions can make sounds with their pedipalps, or open the tweezers to challenge the opponent, as well as raising the tail and directing the sting towards the target, all of this moving from side to side demonstrating security. Such samples are certainly a reason to fear for some opponents who are not willing to spend their energies on something that is likely to prove harmful to them. 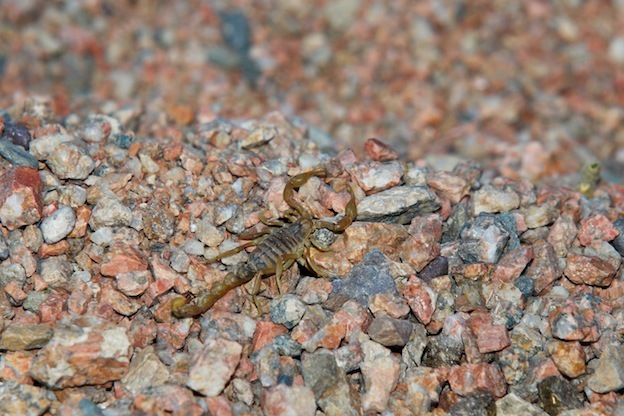 A very popular myth about scorpions is related to the fire. According to the belief, when a scorpion is trapped by fire and has no chance of escape, it “commits suicide” by injecting himself his venom. Observations on this matter show that while this is not entirely wrong, the interpretation is incorrect. What happens is that their anatomy is not like that of other animals that allow them to regulate their body temperature. 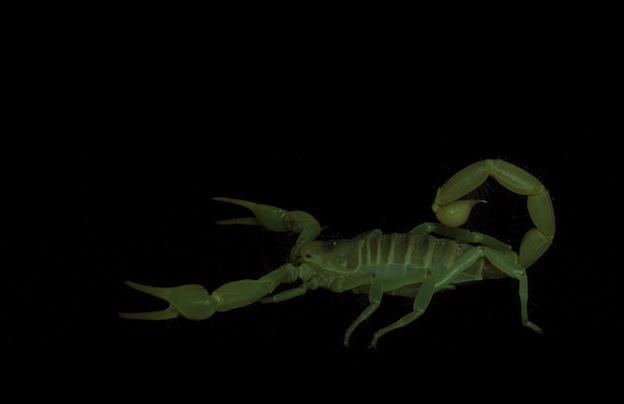 When the scorpion’s body heats excessively, it dehydrates at high speed, and such condition causes involuntary spasms and contractions in the tail, making it appear like a choice to stop suffering. Other aspects that rule out any possibility that this belief is true is that all scorpions are immune to their venom and that suicide would be the result of a reasoning ability that these arachnids do not possess. Barcelona biologist Albert Masó issued this information. Ashraf M.T. Elewa. Predation in Organisms: A Distinct Phenomenon. Springer Science & Business Media, 2007.